Kalipay Negrense Foundation in Bacolod. You can help, too for only P100. 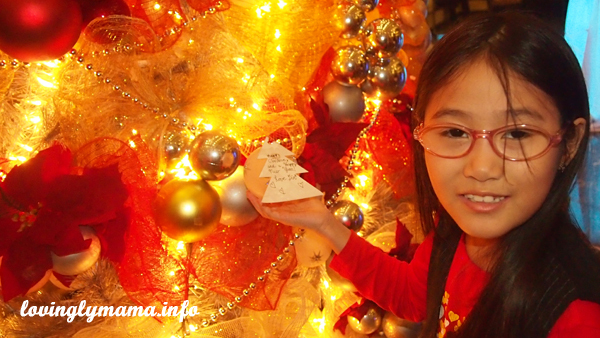 Dindin hangs her Christmas ball along with her hand-written note on the Christmas Tree of Hope at L’Fisher Hotel. 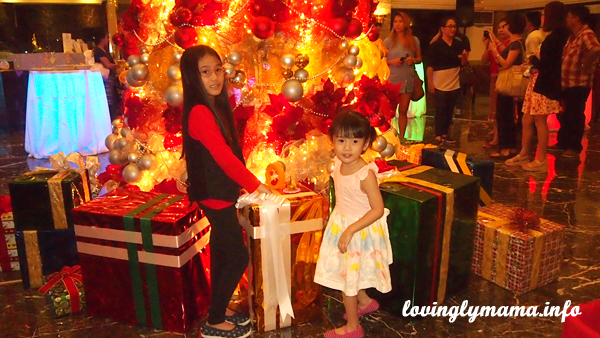 On November 14, 2016, L’Fisher Hotel lit up their giant Christmas Tree–their giant Christmas tree on the foyer that greets all visitors that enter their doors. But this is no ordinary tree, this is the Christmas Tree of Hope, an effort not just to decorate the hotel with Christmas trimmings for the holiday feel but also to extend help where it is needed the most. This year, L’Fisher Hotel is working with Kalipay Negrense Foundation, Inc. of Bacolod–a foundation dedicated to rehabilitating disadvantaged children — those that were abandoned, neglected, abused, victims of child trafficking, and child labor. The Foundation works on educating them and giving them hope to become more productive citizens of our country despite their rather tough backgrounds. 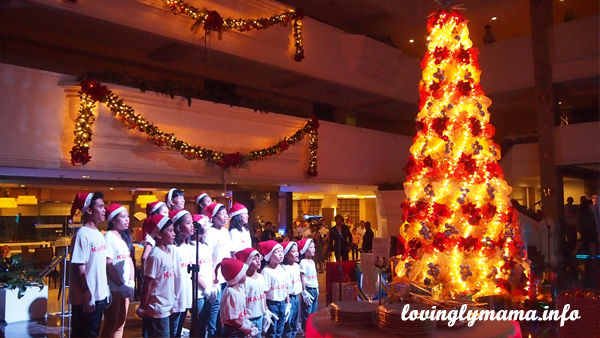 The children of Kalipay Foundation rendered songs during the Christmas Tree of Hope light up ceremony. The hotel is opening this project to all their friends and guests. 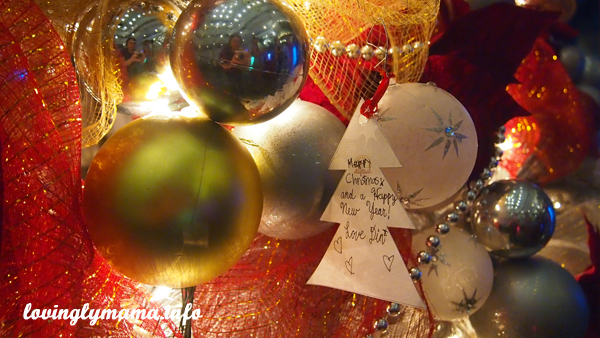 Each one can buy a Christmas ball worth P100 that comes with a note card where that they can write a message on. 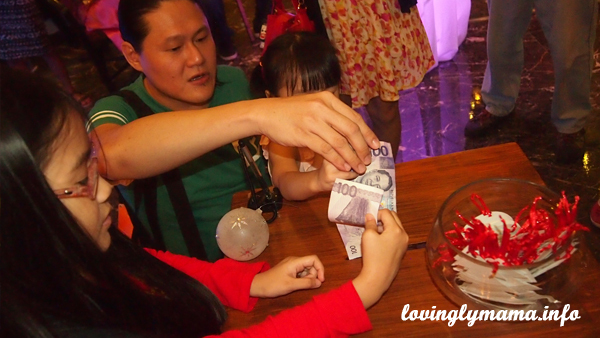 You can just drop the P100 in the money box near the tree. You can then personally hang these balls on the tree. There is no limit to how many you can buy, as these gifts come from the heart. What is P100 these days? A burger? A notebook? But it means a lot to the children of Kalipay Foundation. The kids write their notes. I encourage you dear readers in Bacolod to visit L’Fisher Hotel and participate in this worthy endeavor. You can buy Christmas balls from 8am to 10pm daily. Kalipay Foundation is close to my heart because I believe in their cause and I have seen their efforts. We have visited their house last year and their kids are healthy, clean, and happy. Dindin’s message for the kids of Kalipay Foundation. Our little girl proudly shows off her message. 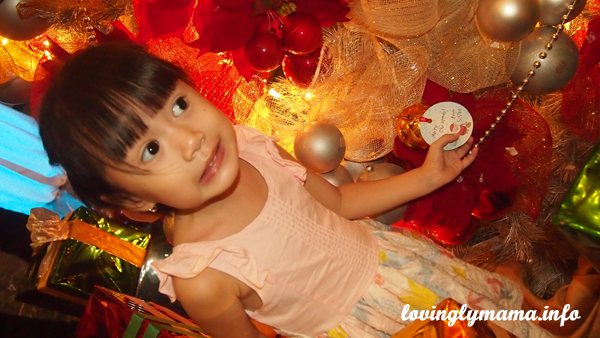 This Christmas, share your blessings and teach your kids to do the same. Please bring them and let them participate in this worthy endeavor. 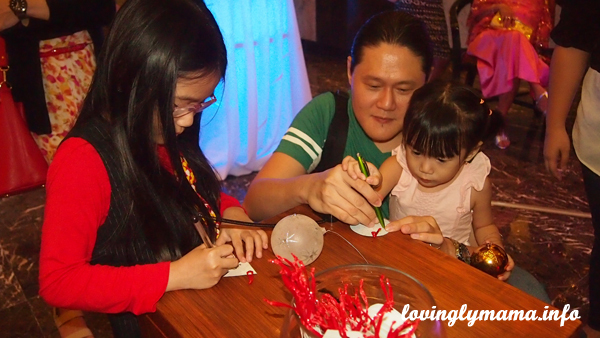 For us, this is just one of our endeavors to show our kids that the world does not just revolve around them. They need a good grasp of reality. While we are not filthy rich, they live rather comfortably, with all their needs and most of their wants given to them. But they need to see beyond what they have. They need to see that there is a whole world out there that needs help and that they can make a difference, whether they are young or old, have a little or a lot. No help is too small for someone in need. So I encourage you to let your kids take part in this. Note: L’Fisher Hotel is located along 14th-Lacson Streets, Bacolod City. Our kids enjoying the party. 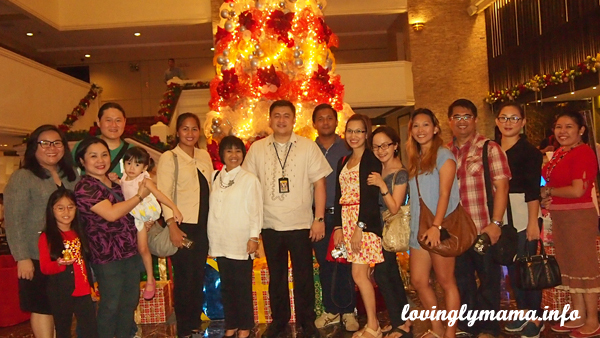 Our family with the Negros Bloggers, guests, and L’Fisher Sales and Marketing Manager Kristine Garcia during the lighting ceremony.